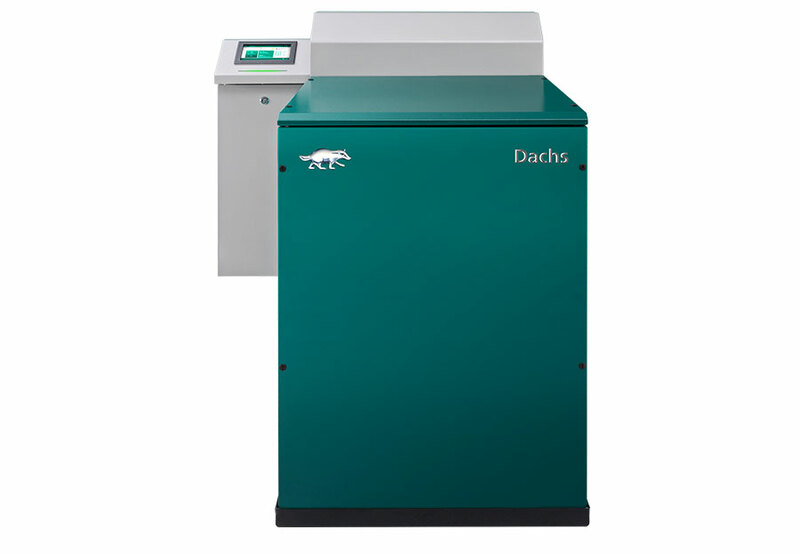 The Dachs is a one-of-a-kind, state-of-the-art micro CHP unit based on a natural gas, LPG fuel oil or bio diesel fuelled internal combustion engine. 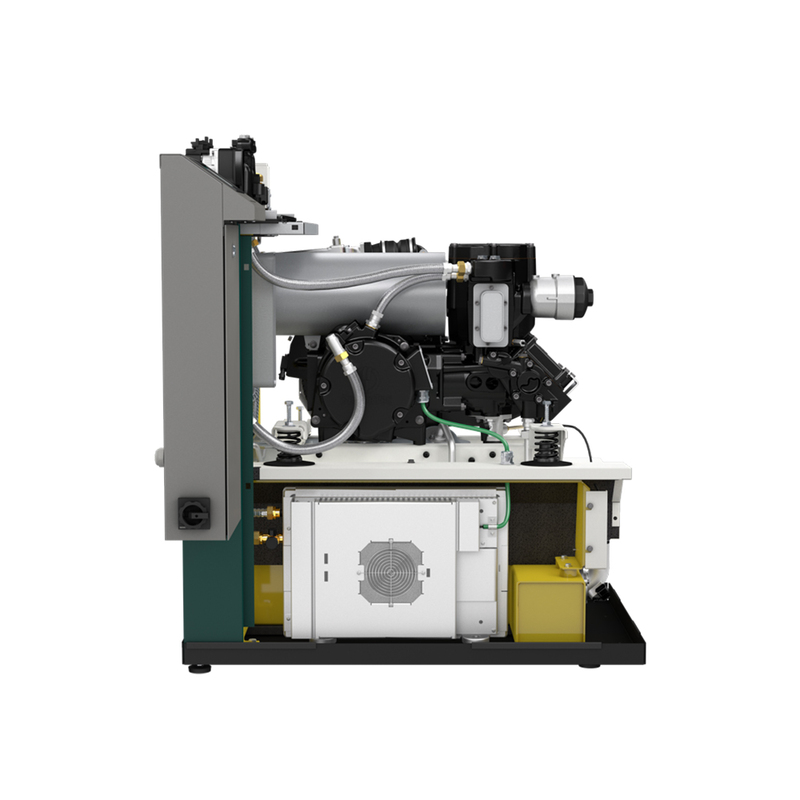 The one-cylinder four-stroke engine has a capacity of 580 cm³ and was designed to achieve maximum reliability with minimal maintenance intervention. 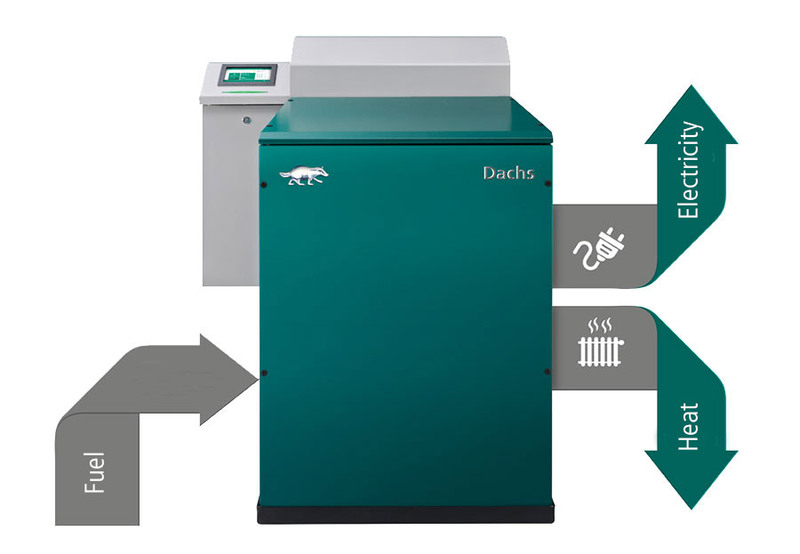 Operating consistently and successfully across Europe for many years, the Dachs is proven technology and has become the number one choice in micro-CHP. SenerTec and its partner network have installed over 36,000 units. 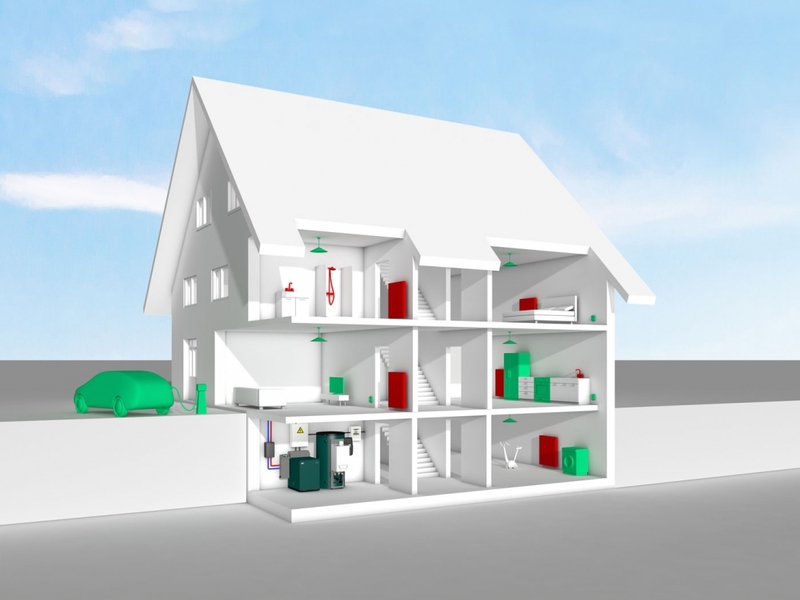 Together with the storage tank and the hot water module, the Dachs forms a supply centre for heat and hot water. It charges the tank up to a defined temperature and makes energy available for heating and hot water. Once the tank has been discharged to a defined temperature, the Dachs is activated again and recharges it. Part of the storage tank is always reserved for hot water generation. The heating system cannot use this part, so priority is always given to hot water when required. The Dachs is the energy all-rounder for supplying all your heating, electricity and hot water with the proven, long-lasting engine developed by Sachs. With a thermal output of up to 14.7 kW and an electrical output of up to 5.5 kW, it is suitable for both large detached homes and properties with a larger heating and hot water demand such as apartment buildings, hotels, retirement homes or commercial buildings. Everyone is familiar with the energy label (ErP efficiency label) with the EU symbol and the steps in traffic light colours. Since 26 September 2015, this label has been mandatory for boilers and water tanks. This means that energy-efficient design and the labelling of energy-consuming products are now also relevant for heating boilers, combined boilers and hot water systems. 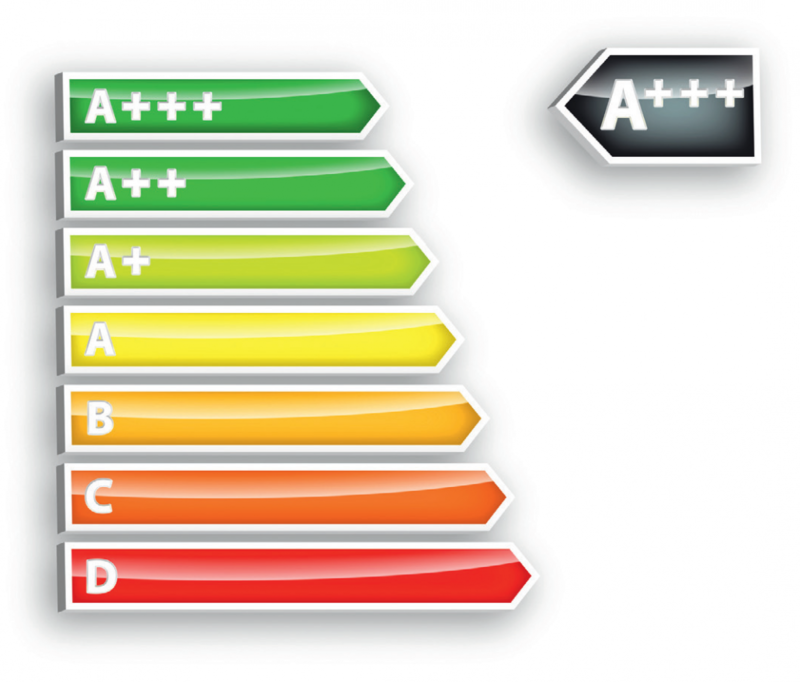 The new ErP efficiency label is very useful for consumers because it makes it possible to compare the energy efficiency of different heating systems at a glance. Why the Dachs is becoming more important. The Dachs generates power even when there is no sunshine or wind. There’s no shortage of power when the sun is shining or the wind is blowing. But what happens when it’s calm, in winter, or during the night? The Dachs always works whenever it’s needed, continuing to produce green electricity exactly where it’s needed. That’s why governments have set the goal of using energy more efficiently. The principle of heat and power cogeneration. The Dachs is so efficient because it uses the same energy twice. Efficient energy use: The engine generates heat. 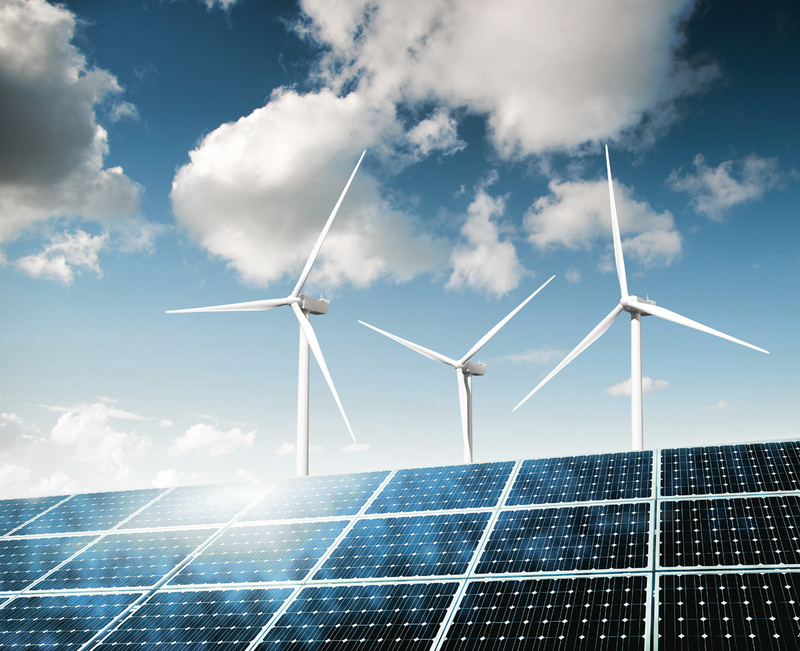 The high-performance generator produces green electricity. How does the Dachs help to protect the earth’s resources? When electricity is generated in large power plants, the heat produced is simply lost. The heat required to keep buildings warm must be generated separately. The Dachs converts almost all of the primary energy into electricity and heat. Instead of being wasted, the heat is used to cover the heat requirements of buildings. The engine drives a high-performance generator that produces electricity. You can rely on a Dachs. Made entirely in Germany from the best materials. The Dachs owes its durability to the use of high-quality materials and the expertise of our engineers, the result of many years of experience. The Dachs embodies something that has become rare today: true craftsmanship. Scarcely bigger than a washing machine, it weighs in at half a tonne because its high-quality precision parts are made of materials like brass, copper and steel. Just as it has been assembled one part at a time, it can be dismantled or extended in the same way. The production of every unit is perfected by hand and individually monitored at our factory in Germany. The result is an extremely robust machine designed to last for years, built even more solidly than practical requirements demand. That’s what we call future-proof. … that the single-cylinder four-stroke Fichtel & Sachs engine with an approximate capacity of 580 cm³ was designed specifically for use in heating systems? … that it doesn’t matter if you think of the Dachs as a power generator that also makes useful heat or a boiler that also generates electricity? The Dachs is a worthwhile investment even for private households and especially for businesses of any size. And for hot water preparation it offers one of the best storage solutions ever designed. … that there is a Dachs Fan Club in Germany? The membership of the Dachs Fan Club – over 7500 – speaks for itself … and for the Dachs! These Dachs owners are all proud of making a forward-looking choice. As far as we know, no other heating system in the world can make this claim!